Guarantee timely responses to requests. Manage and reroute requests on time. Have more time for other tasks. Our solution analyzes all emails received by your sales agents and prioritizes them according to the needs and policies of your company. Better understand the opportunities they have in their mailboxes. Both your executives and the company will meet their goals. 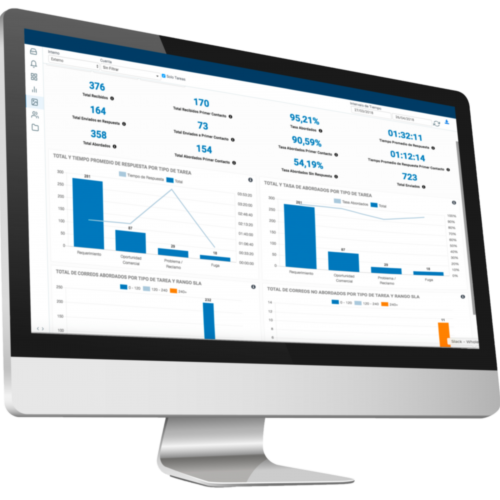 Reports and dashboards allow users to obtain the right information in a simple and timely fashion, helping them to optimize processes and improve their clients’ experience. 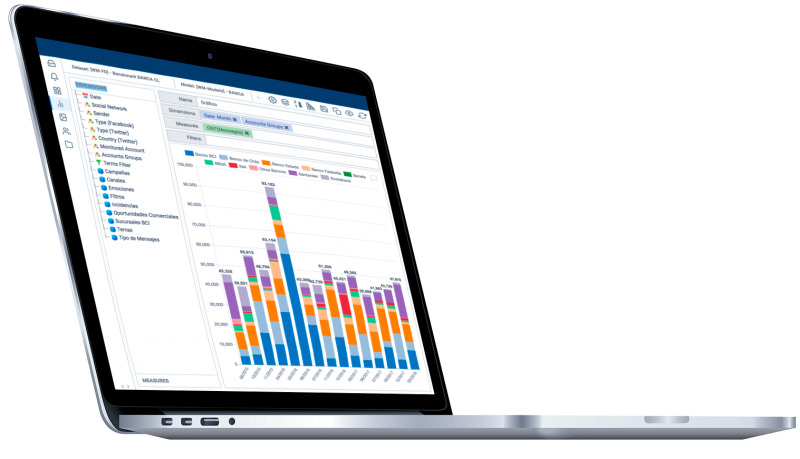 Different dashboards focus on each user type, with information that is relevant to helping anywhere from agents to managers. In a simple way, each dashboard displays only the information pertinent to the corresponding user. Personalized reports are generated through data analysis, allowing you to visualize the performance of your key indicators. 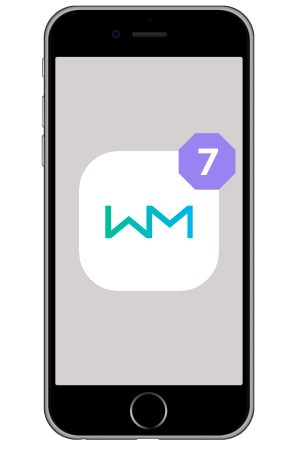 Alerts – through email or the mobile app – are sent to all areas of your company that require information about the management of your clients in real time. Activated and configured according to user needs, an advantage of this tool is it’s versatility and flexibility to adapt to your organization. The system is equipped with all types of alerts, for example: notifications that are filter-based, that are predictive based on anomalies, or show abrupt agent KPI changes, among others. Analytics is a tool that allows in-depth data exploration in order to gain insights about the root causes of the problems your clients are experiencing. With our tool we make qualitative information quantitative, and therefore actionable. 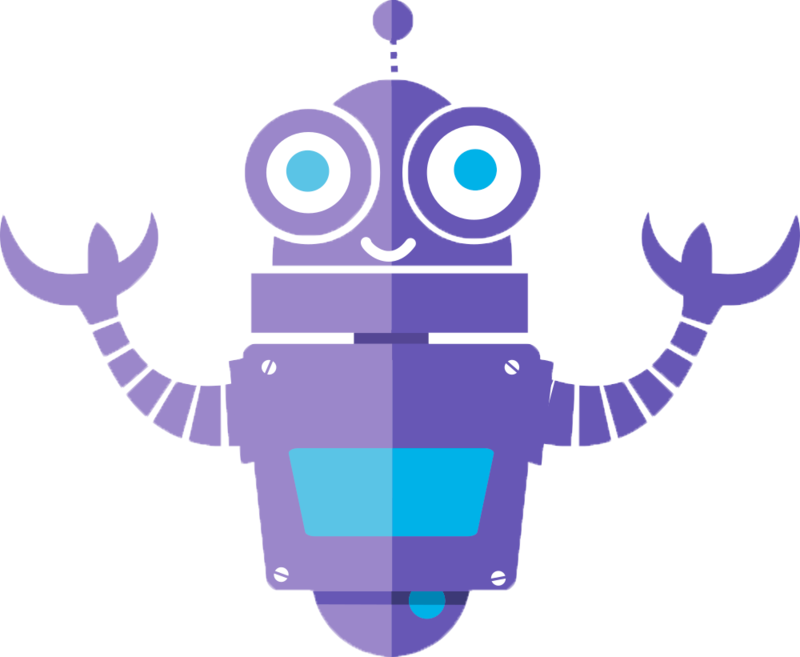 Easy to use, this tool is designed for commercial or business intelligence analysts, and can be utilized by whoever wants to take a closer look at the data. It is an analytic platform that displays the information you need to know in order to understand your clients’ experience. As with other Business Intelligence solutions, our Analytics tool is based on an OLAP cube, which allows you to apply different dimensions and measures to both structured and unstructured data. Agents and managers, especially if they interact with clients, are constantly on the move. Wholemeaning is always by their side, helping to make their jobs easier. Through our applications, agents can continue to rely on the support of Wholemeaning from their PC or mobile device, easily and efficiently coordinating conversations. 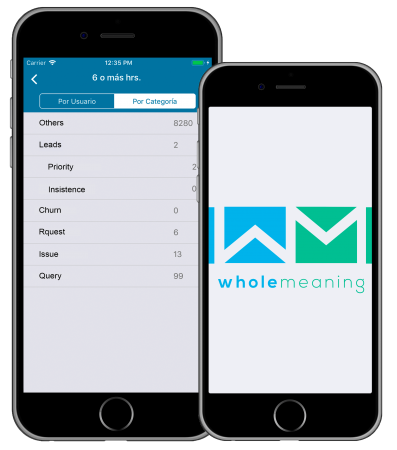 Statistics, KPIs, and additional data will always be available on Wholemeaning’s app. You will never lack the information you need to provide the right answer. (1) Used with permission from Microsoft. (2)© 2017 Google LLC All rights reserved. 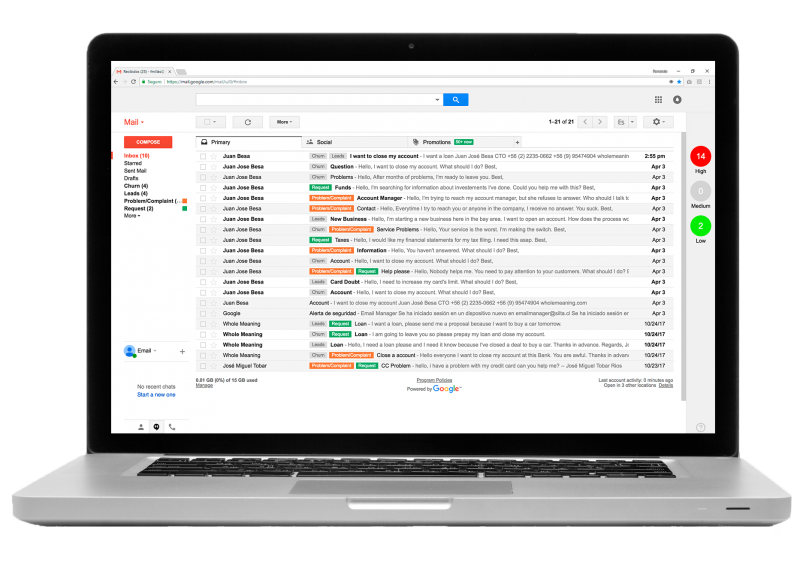 Web Email Service Gmail ™ is a trademark of Google LLC. 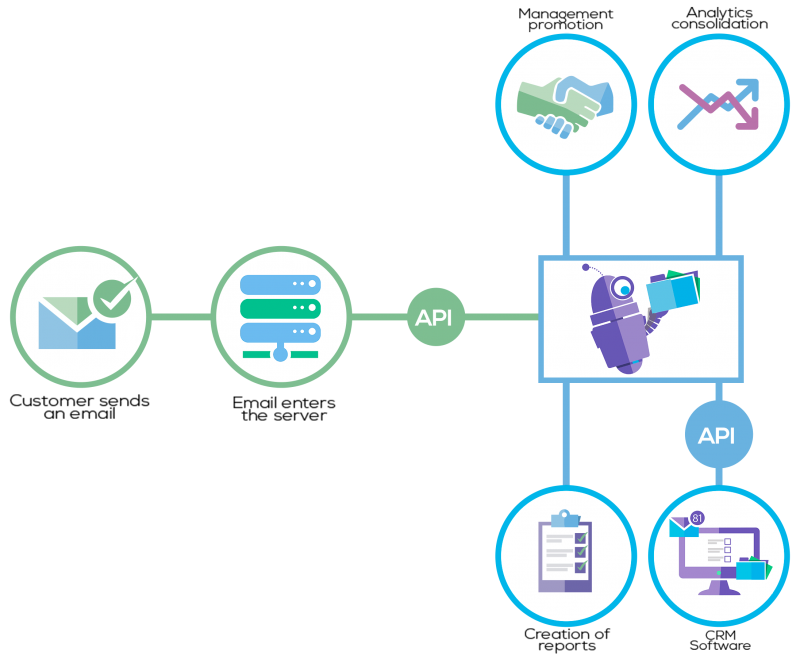 We work with the two largest email providers, Google and Microsoft, allowing us to take advantage of the different options these tools provide for integration through their APIs. 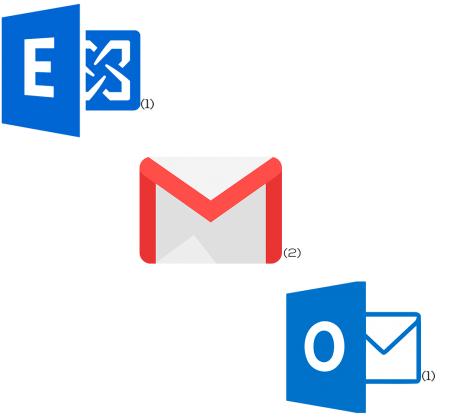 In the case of Microsoft, our solution has no problem being integrated, working for both the On-Premise version of Microsoft Exchange, and the cloud version of Office 365.